The Rolling Stone left the convenient store with two pistols, two rounds for each, a sawed-off shotgun from behind the Indian’s counter and all the buckshot he could fit in his pockets. His prospects were looking up. He stumbled into an alley and rested for a moment. He could feel immortality flowing through his veins; he let it slowly take its course. He was feeling stronger now, less bruised and dashed. 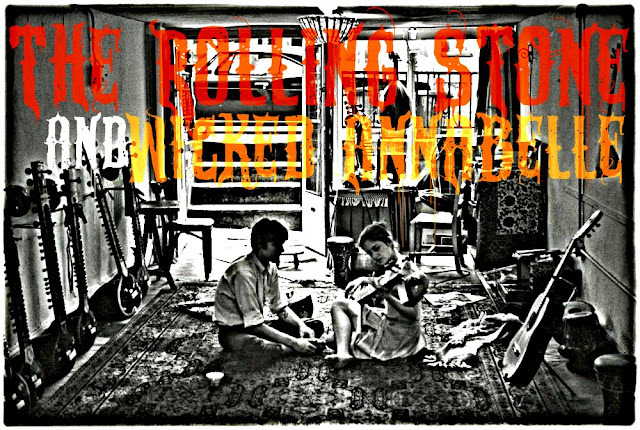 The Rolling Stone was healing. He’d made a pact many years ago, that was when he was young. That was when he was rich. That was when he was arrogant. He had everything and wanted more. He had want for naught, but coveted. He lived, but was dying and that bothered him. He wanted to live forever, to want for nothing. To have had everything, to have experienced all. To have knowledge of everything that was, is and is to be. His arrogance and gluttony knew no bounds. The Rolling Stone gathered moss, and this was the cause of his misfortune. Like a god giving up immortality for a love and a home, he too learned the grass indeed is greener but so soon it fades. He walked into Babylon via the Turner overpass, the cars whizzing by him in the night. Lights beaming and blinding. It was four days since his beating and ditching for dead; two days since he had awoke. He was hurting-cruising for a bruising. He'd had the two days to try and piece it all together, it only took 19 hours. He used the rest of his time devising his vengeance. He wore a grey suit; it was torn, ripped, sliced and diced. It was covered in blood, his blood. His once neatly starched dress shirt was dirty white, torn and half tucked. His face was decorated with cuts and bruises, dried blood-all the typical signs of a fight that was lost. His face bore a constant face of determination and justice, his brows tightly lowered over his eyes and jowls locked. I told him how it was. I looked him dead in the eyes and shot straight into the middle. A lesser, more intelligent man would have heard it and walked away. But, no, not this one.